Welcome to the fourth issue of the Presto Newsletter, a monthly round up of news and events relevant to the Presto community. November 1 webcast on Presto security features & best practices – authentication, authorization, encryption. Fast SQL on Anything talk presented by Starburst co-founder and CTO, Kamil Bajda-Pawlikowski. Andrii Rosa of Facebook and Matt Fuller of Starburst present a deep dive on Presto architecture & performance. Enforcing role-based access control for Presto using Apache Ranger and Presto Enterprise. Using a Presto Pulsar Connector to query streams of data in Apache Pulsar. 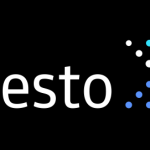 The evolution of Uber’s big data platform, now running 100,000 Presto queries per day. India-based e-retail giant talks about their Presto-based data platform. Part 1 of a 2-part article on building a data lake on object storage, accessed by Presto or Spark. New Presto features! Role-based access control, encryption, and other new security features. New Oracle connector, performance & stability improvements, and more. Interview with Ryan Blue, developer of Iceberg, a new open source table layout for cloud object stores. Github pull request for an Iceberg plug in for Presto.